The pain of a toothache can come on suddenly and be debilitating. However, sometimes the pain will dissipate and you may be tempted to ignore it. While it’s easy to blow off, whatever is causing the pain will only continue to worsen without treatment. 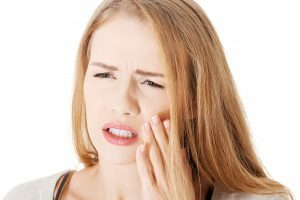 Our specialist for gum treatment in Chicago advises to never ignore a toothache and to always have it evaluated to prevent damage down the road! If you experience any of these symptoms, it is critical to get to our dentist as soon as possible. If your toothache is caused by tooth decay, delaying treatment can result in further damage and possible loss of the tooth. Fractured teeth will continue to crack, also causing more extensive damage. In cases of dental abscesses, very serious infections can occur without immediate treatment. The treatment depends on the cause of your toothache. If you have decay, our dentist will recommend treatment to remove the decay, such as a filling or root canal, depending on the severity. If you’ve had a toothache for longer than one or two days or are experiencing a fever, book an appointment with our dentist. It’s nothing to shrug off, and being evaluated quickly will get you on the road to recovery! Contact Our Specialist for Gum Treatment in Chicago Today For More Information!